Welcome to the website of AB's Motorcare. AB's Motorcare is a local motor parts and accessory shop situated in Yatton, North Somerset. 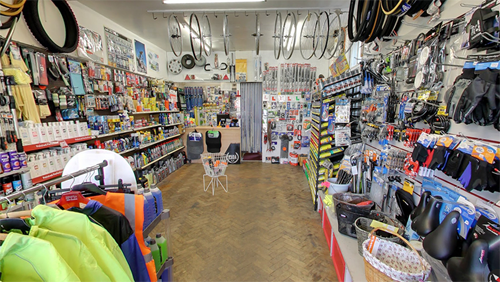 We sell Dawes Cycles as well as a range of cycle parts and accessories. We also have workshop facilities for cycle repairs. To find out more about the products and services we offer please use the menubar above to navigate through our website. If you have any queries or don't find what you are looking for, feel free to contact us and we shall get back to you very shortly. You can also find us on Facebook or Twitter where we post regular updates and offers that may interest you. Click the image below to take a Panoramic Tour or our shop.